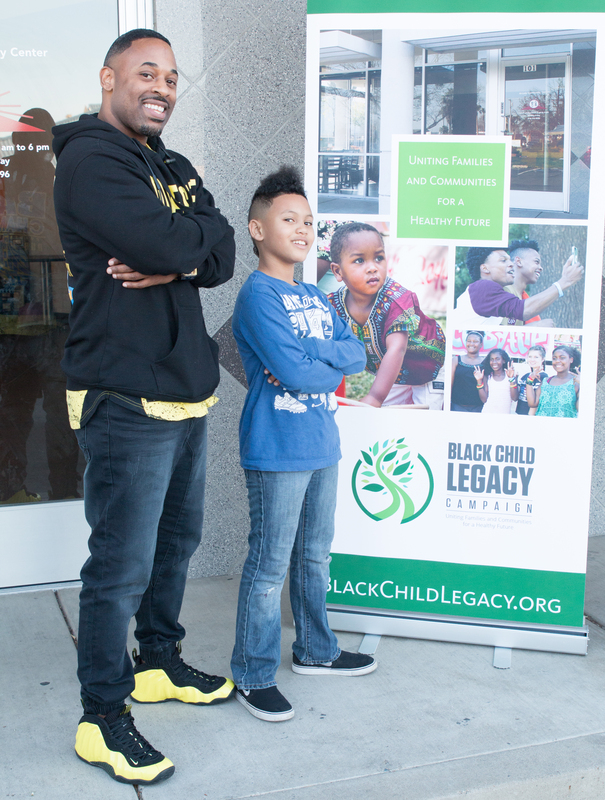 Latrell Ludd and his son, Latrell Jr., share a special bond. 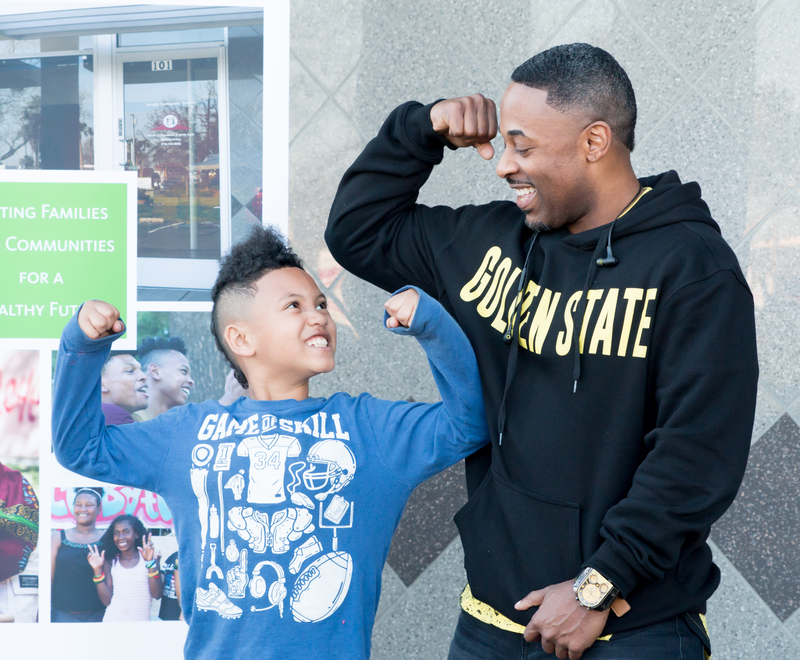 As an active single dad, Latrell is beating the odds by being present and influential in his son’s life. 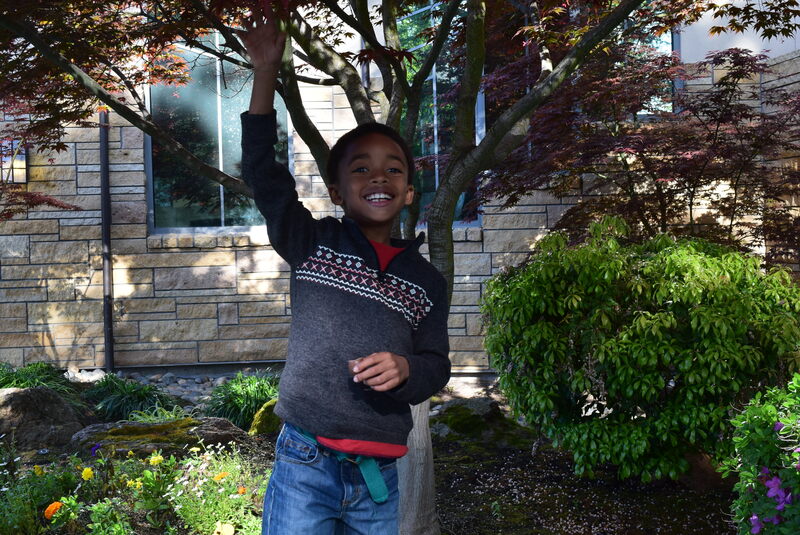 A California native, Latrell made some regrettable choices in his life, but those experiences have given him insight into how he parents his son, hoping little Latrell, who is 9 years old, will take a different path. “I hope that my son never experiences jail, gangbanging or bullying. My goal for him is to go to college, get good grades and join a fraternity so he never has to struggle like I did,” Latrell remarks. He believes the traits of a good father are instilling positive morals and values, leading by example, and using effective discipline tools that work for your child without violence. This story was developed as a part of the Loving Brown Babies campaign from Sac Cultural Hub and was written by Heather Neiman. 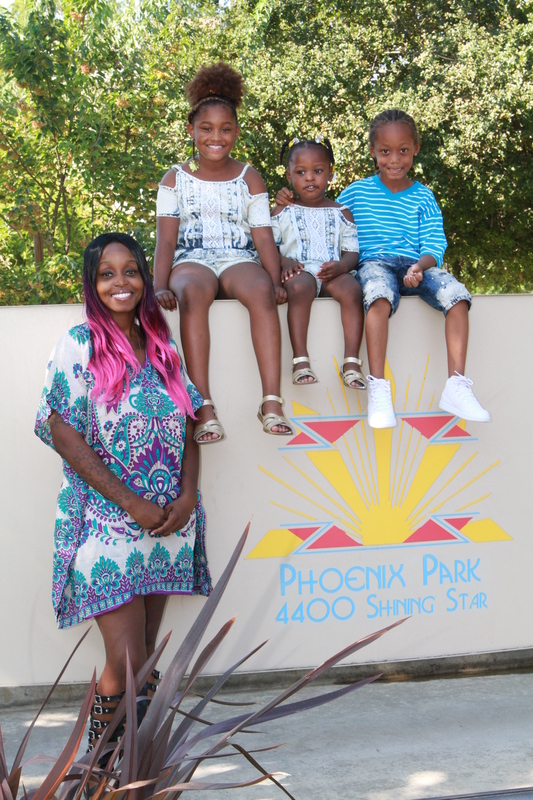 Self-sufficient, strong, determined mom of four, Miesha Kelley, shares her journey as a former homeless mom determined to fight and provide for her children. Miesha Kelley has had a life full of hurdles. As a child, her mother had to give her and her siblings up for adoption, as she was unable to carry the burden of seven children at an early age. 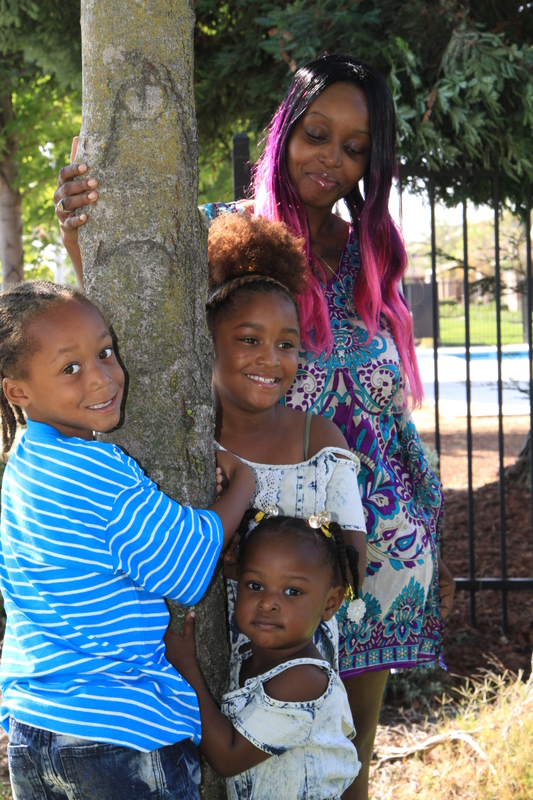 As Miesha grew up and had her own children, she suddenly found herself homeless. She is a strong believer in doing all you can to provide for yourself, so it was hard for her to ask for help. Having no family in town, she had to seek assistance on her own. Through her strong faith in the Lord, she has been able to persevere and conquer the challenges she has faced. 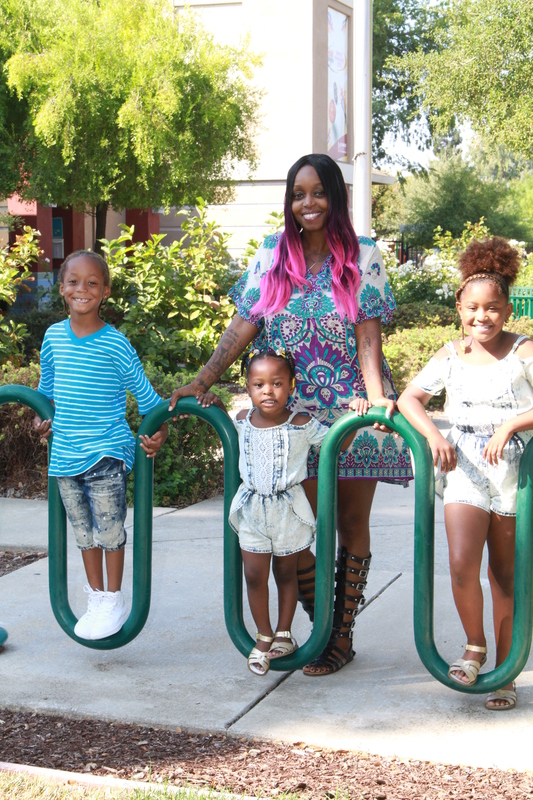 Miesha also shares the difficulties and rewards of being a single mom. The most difficult thing, she says, “is to separate what I’ve been through from what I need to do with my children. It’s hard because I try to do everything opposite of what was done to me. In doing so, it sometimes is not good for the child. Like when you didn’t get Christmas or birthday gifts so you over do it, and [your children] didn’t really earn it then, you end up with kids who are disrespectful and there is no fixing it later if you wait too long.” She has found some good coping techniques over the years. “I have to walk away because I get upset. I’ve always tried to do better than what was given to me. Praying and just moving away for a minute.” The biggest reward of parenting has to be “the kisses, the graduations…Some people want their space, but I love not having my space (most of the time)… the faces, smiles the opportunity that God gave me. I’m still like, why me? [I’ve]got a 24 year old, God, I’m doing it,” Miesha remarks. 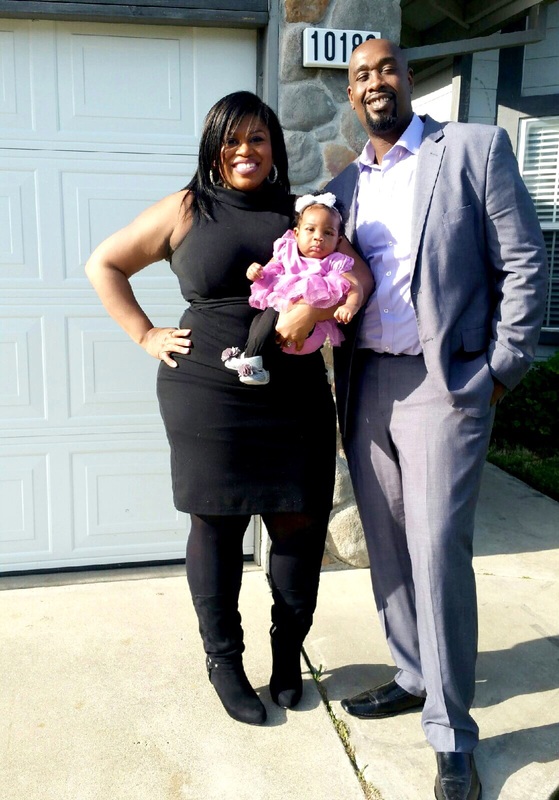 Life-long California residents, Raven and Kurtis Foster, have a busy life managing their careers and children. Raven has three children, Kurtis has two and they have a 10 month old daughter together. 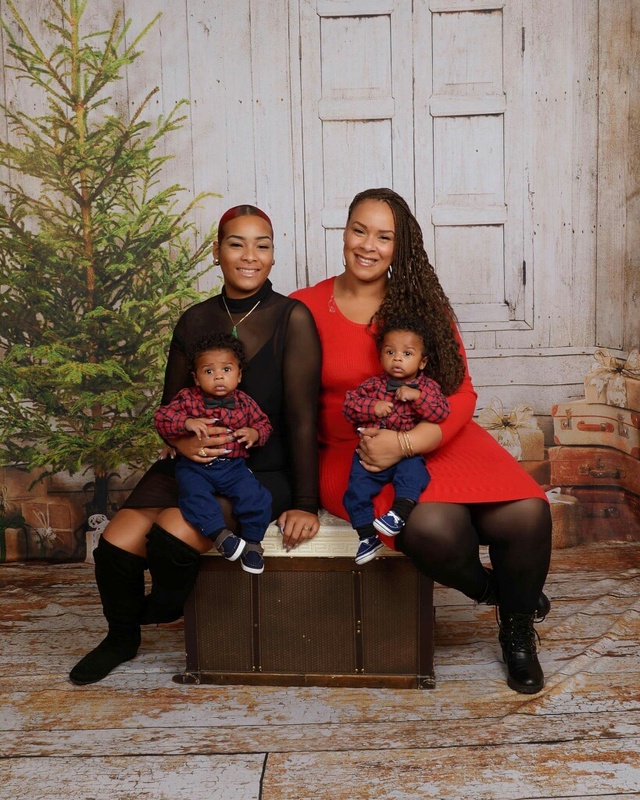 When asked what three words describe them as parents, Raven chose “dedicated, good, and beautiful!” Raven believes that being a good parent means being a protector and a nurturer. It means being a person who is caring, understanding, warm and welcoming. “My biggest hope is for my children to be the best of everything they can be. I don’t want them to feel that there are any boundaries on them because they are brown; they are free and there are no restrictions. [I] just want them to have peace,” Raven explains. 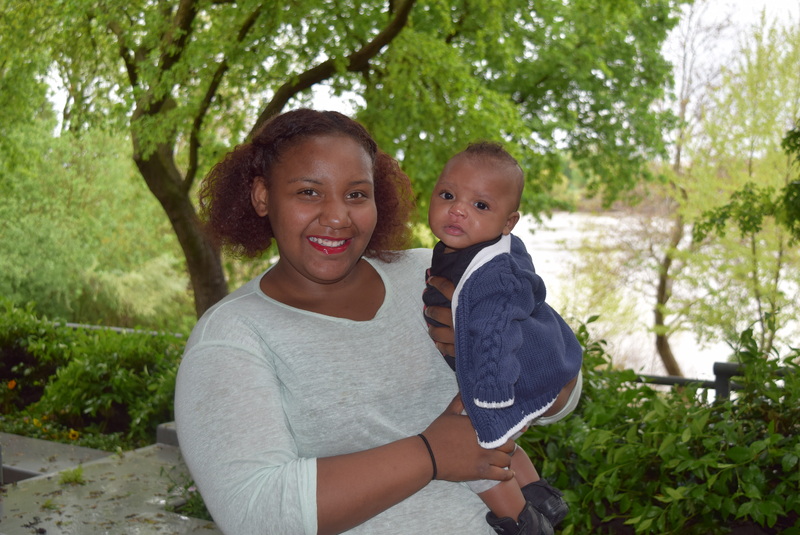 “My birthing experience was one of the hardest things I’ve ever been through,” Da’Shanae recalls, “I went natural so I felt all the pain.” But the short-lived pain was more than worth the joy she has for her son. “What I love most about my son is his smile. He loves to be held,” she says. Just having D’Akari with her is her biggest reward as a parent. 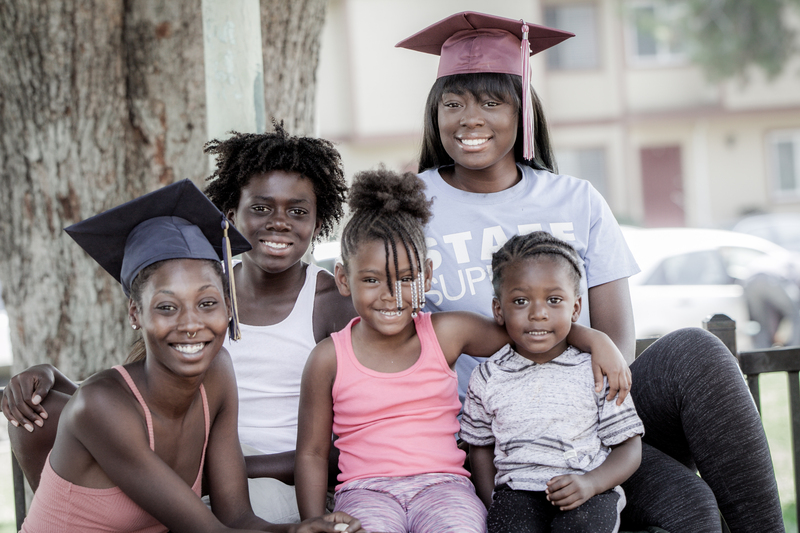 Da’Shanae’s hope for her son is for him to graduate from college and follow his dreams. Being a supportive mother and always showing love is how Da’Shanae feels she can be the best parent for her son. 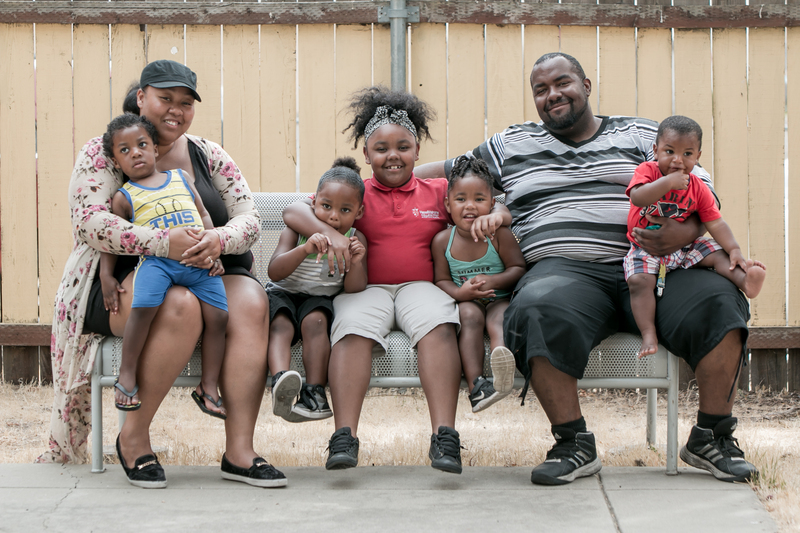 This story was developed as part of the Loving Brown Babies Campaign from Sac Cultural Hub. 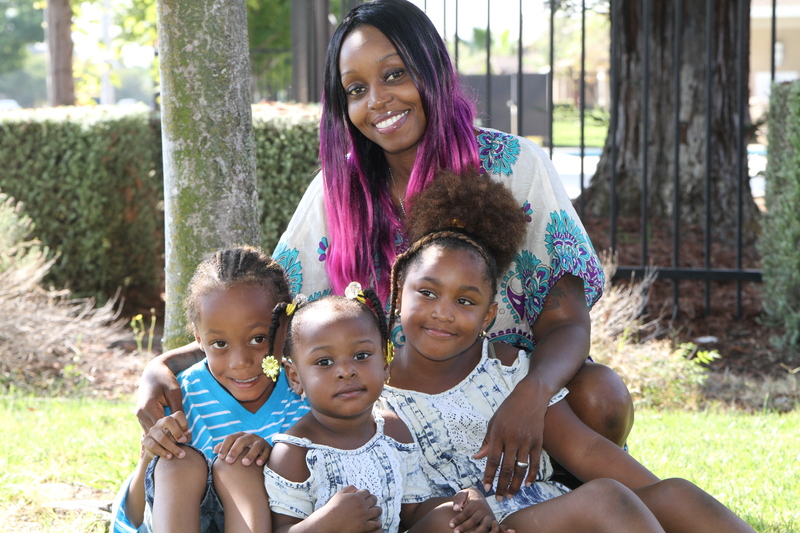 Katryna Hunt is a cosmetologist, entrepreneur, wife and mother of three, including her two stepchildren and baby daughter. 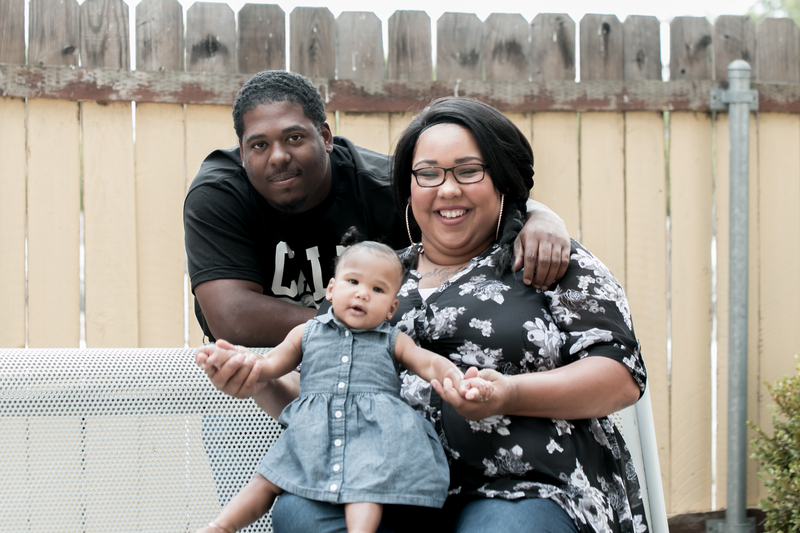 Juggling a career and having a new baby is probably the hardest thing Katryna has tackled. “I am a perfectionist, but with so much going on it’s really difficult to balance. I pray a lot, and I have been real in-tune with my daughter. These moments fly by, so I have been slowing down trying to enjoy them. I still work and sell bonnets, but my priority is definitely my family. The salon business has been good to me, so after 14 years my clients aren’t complaining about my tight schedule,” she says. Being a woman of color is the most beautiful and hardest job ever, Katryna believes. “You are your child’s influence. With that comes the responsibility to teach them. Not only the ABC’s, but moral character and how to be honorable black citizens. You have to discuss racial issues and how to deal with situations/scenarios that other races may not experience. 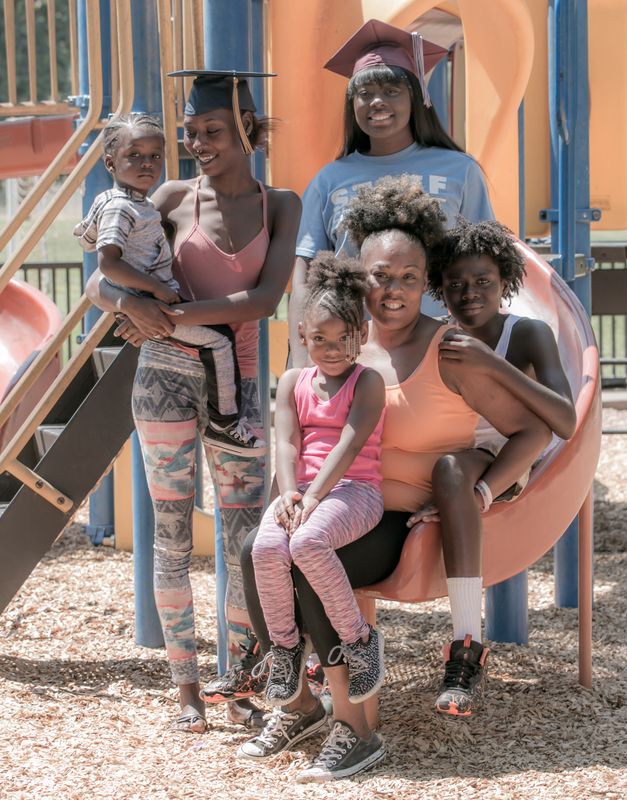 It truly is an honorable role that shouldn’t be taken lightly.” One way that black moms/ parents can impact their community is by spending more time with their kids and helping others. As Katryna reflects on the future, her hopes and goals for her children would be that they honor God above all else and be a positive influence to others. She hopes they will be an example for others, be a great friend and spouse and be connected and compassionate to people less fortunate. She hopes her daughter will represent the black race as a woman with class, poise and intellect. 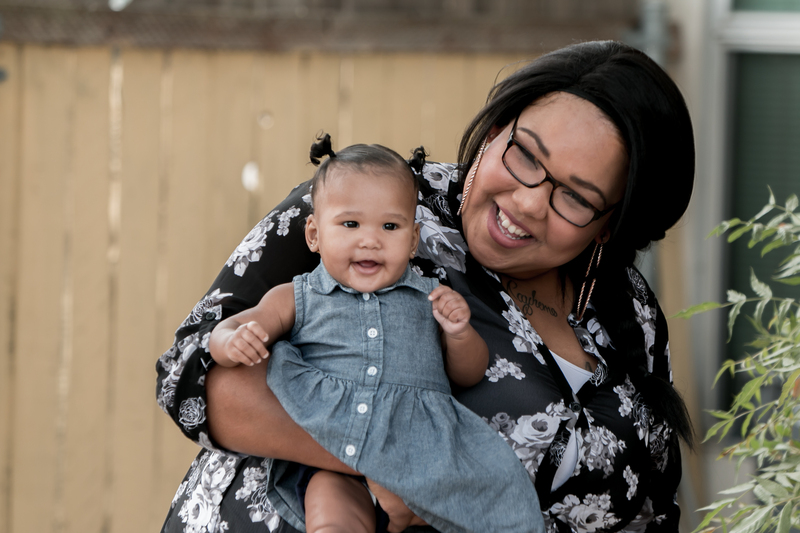 This story was developed as part of the Loving Brown Babies Campaign from Sac Cultural Hub and was written by Heather Nieman, Contributing Writer with THE HUB Magazine. 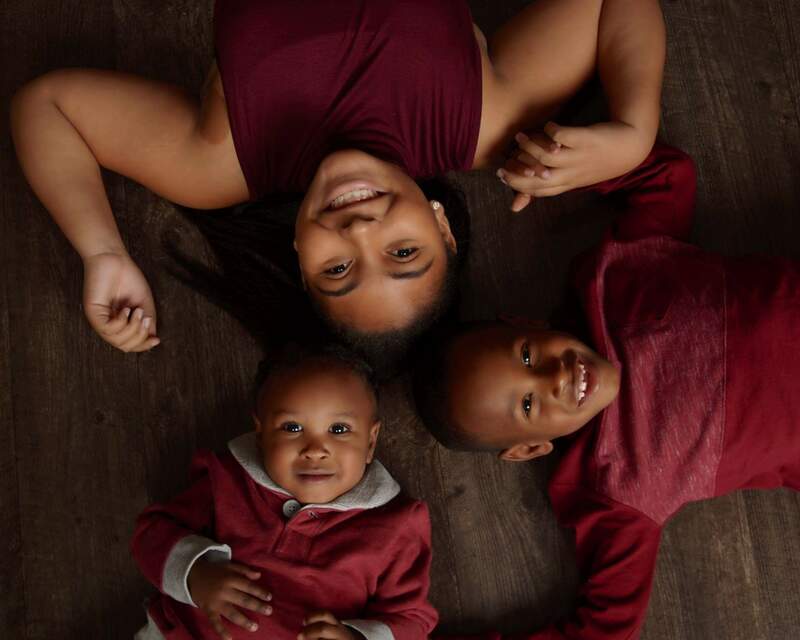 Mother of three Latonya Williams shares the ups and downs of being a mom, and the new normal that life with twins brings. 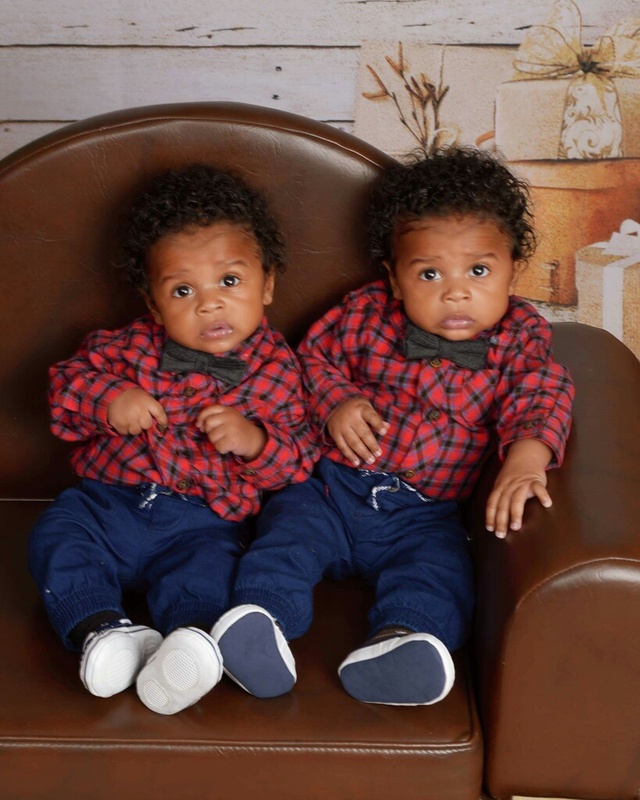 Latonya’s 7 month-old twin boys, Riley and Roman, have changed her life in many ways. “My sons have given me a whole new outlook on the world. When I look at those beautiful babies, I know that my life is just beginning. The love I have for them will keep me strong and I will continue to strive for success,” she reflects. Life as a parent is not without challenges. “I and the twins’ father live separately, because we are working on growing within ourselves. So I pretty much take care of the babies on my own Monday through Friday. This story was developed as part of the Loving Brown Babies Campaign from Sac Cultural Hub and was written by Heather Nieman. Entrepreneur, wife and mother, Malaika (Grace) Osborne-Walsh knows there’s a difference between being a good mom and a great mom. 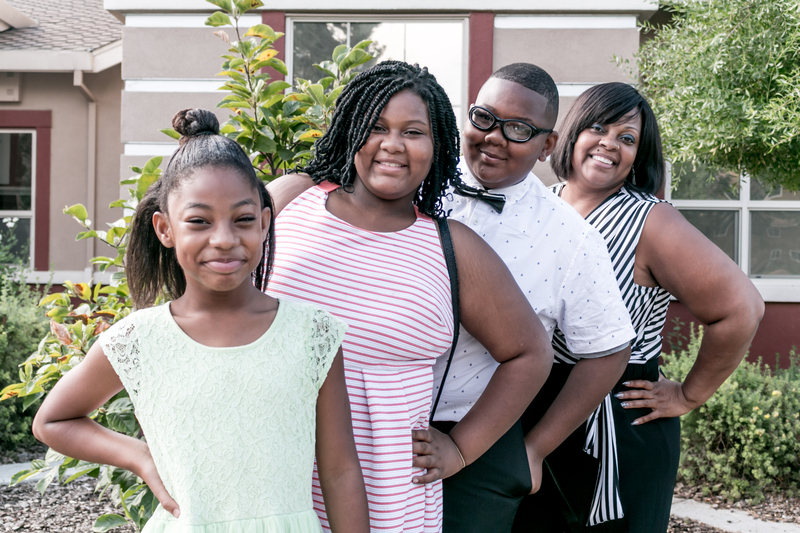 For her and her husband, Arthur, a big part of being great parents is spending quality time with their three children, La’ah (14), Bryson (7) and Devyn (1). Malaika is the owner of Bubbly Babies Child Care for the Performing Arts, which is a family child care home that not only provides academic curriculum, but also courses in music, dance, theatre, creative arts and vocal arts. Her business keeps her busy, but also allows her to spend time with her family. She and Arthur enjoy quality time with each other and 1-on-1 dates with their children. “What our children love most about my husband and I is we love to wrestle with all of them, including giving hugs and kisses,” She said. The Ward Family of 5 live in Sacramento. Tisho and her husband Bill Ward Jr, have two sons (Makahi Isaac – 7 and Isais Xavier – 2) and one daughter (Saje Grace – 4). 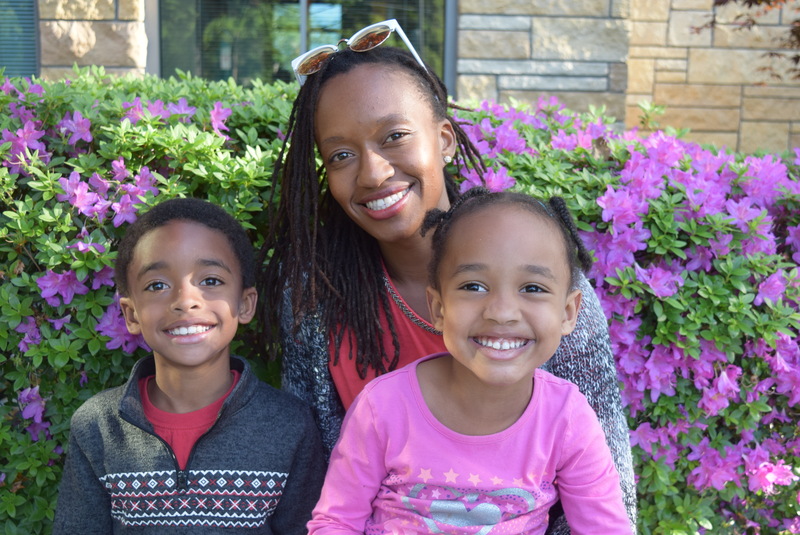 Tisho shares with us her thoughts on raising children and defining black motherhood. Mother of five and federal employee Adrinne Larry is a peacemaker, giver and mentor, not only to her family, but to all who encounter her. It hasn’t been easy, but Adrinne handles life’s challenges with courage and grace. Her journey as a mother began in her teens. “It was rough in the beginning. I had my first baby when I was 17. I was not prepared… having my daughter at a young age, my friends were able to go on to college and be more ambitious than me. I had to understand that while I am ambitious too, my ambition had limits, and was more challenging, because I always had to think how it would also impact my family.” However, as her children got older, Adrinne was able to explore her options. She started with the Department of Veterans Affairs and was blessed to find a federal job. Adrinne took advantage of their upward mobility programs and pieced together a career in the department. 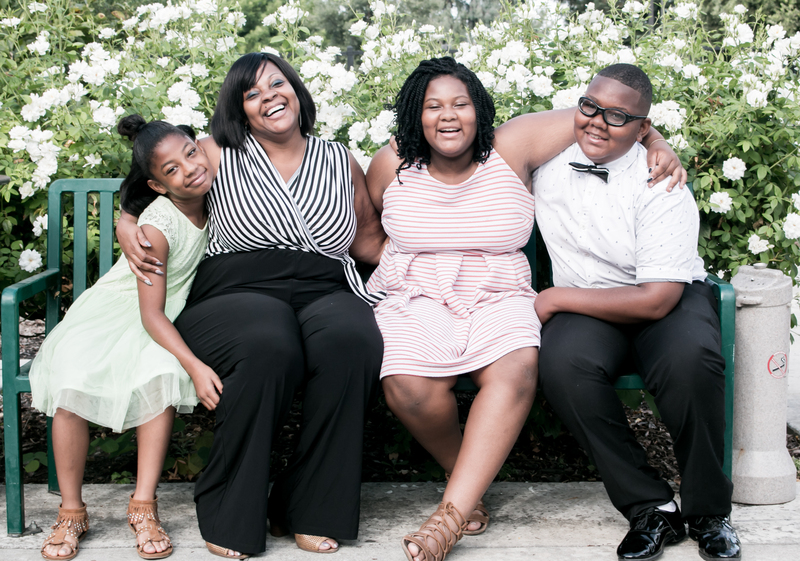 Now married and with five children ranging from 29 to 8 years old, Adrinne has a wealth of knowledge to impart to young mothers and black moms. She believes a good mother should be loving and understanding, with the ability to lead and teach, and be a good role model. A good mother should always be supportive, give advice when asked and to know her children’s traits to better prepare them for life. Adrinne’s advice to her children is “To be happy. To do something in life that they are passionate about. To be true to themselves. To always lead with love. To be unselfish. To be honest and trustworthy.” She hopes they will choose what life they want to live and work out a plan to accomplish that goal. Melissa Harvey, mother of five, full-time mom and career woman, shares her views on the miracle of being a mother and the incredible support system with which she has been blessed. 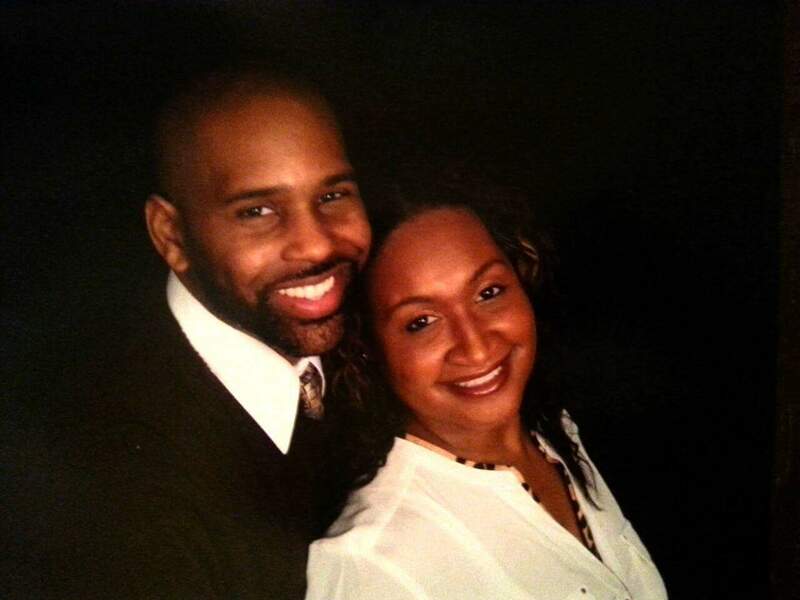 Born and raised in Sacramento, Melissa met her husband, Immanuel, when they were teenagers. Both wanted a big family, but doctors told Melissa that she would most likely never be able to bear children. She recalls, “When I was younger, I always knew that I wanted to be a mother, but was told at the age of 14 that my chances of having children were slim. If I did get pregnant, I probably wouldn’t be able to carry the baby or live. After countless miscarriages, my husband and I kind of gave up. My Granny (who just so happens to be my Pastor as well) prayed and asked God to Bless my womb, and… well, I have five kids, so you get the picture.” Their plans for more children have had to be adjusted. 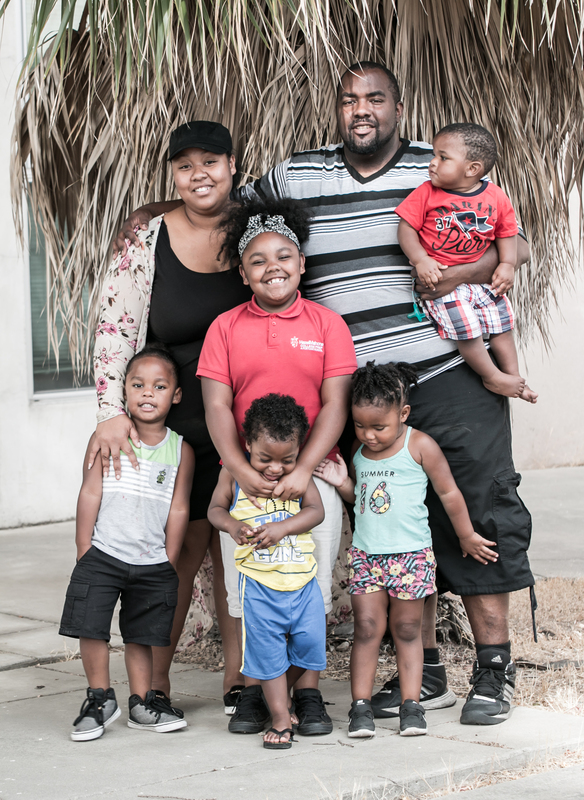 Their middle son has health issues that need to be addressed, so for the time being, seven is the perfect number for their family. Teamwork, alone-time, and family time are important pieces to keeping a family unit stable, according to Melissa. Melissa acknowledges that a woman cannot achieve greatness without the help of great role models in her life. “My role models have always been my Granny, Pastor Linda G. Holman, and my big sister Chyrena Brown. My Granny is the sweetest human you will ever come across, with the biggest heart. She is always praying and doing for others, even when she is the one in need of help. She loves God’s people, and she never turns anyone away. My sister, despite everything that she has been through, is still standing big and bold. If you knew her story, you would be in awe that she is still here. Regardless of what she has been through, it hasn’t stopped her from getting her degree and writing not one but two books and being the founder of her own organization.” Melissa believes the best thing you can do in life is lead by example, which also includes owning up to mistakes and correcting them. Her children see that their parents aren’t perfect and they aren’t afraid to admit when they mess up. Melissa said when she thinks of Loving Brown Babies, “The first thing that comes to mind is empowerment. By loving our brown babies, we empower them with security, love, hope and courage. We tear down the walls of self-hate, low self-esteem and fear.” Her goals for her children are that they would grow to be strong men and women of God, to graduate college and be successful in whatever their heart’s desire. Precious Myers lives up to her name in more ways than one. 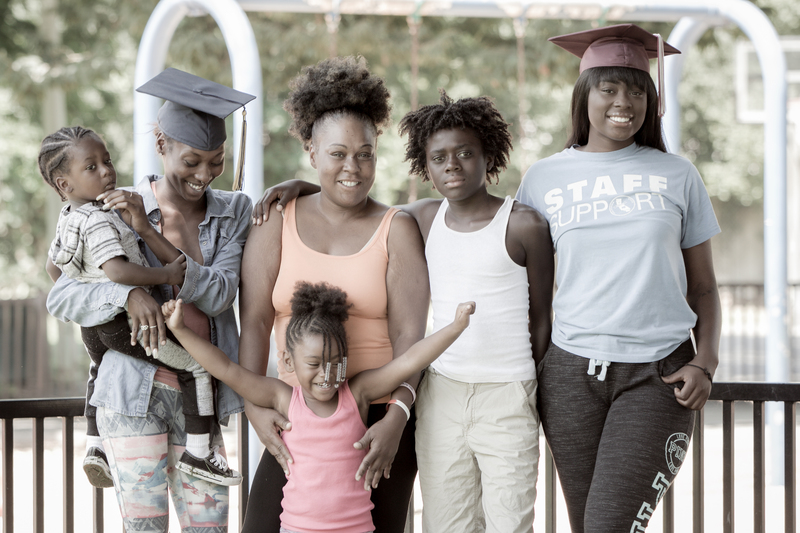 As a mother of three children, as well as a caregiver for her own mother, Precious has a heavy load to bear. But her life has proven to be “precious” as she has overcome incredible challenges throughout her life. Precious shares her triumphs, as well as her experiences as a single mother and the ups and downs that shape who she is today. Precious’ first major triumph in life was when she was just 5 years old. She was hit by a motorhome while riding her bike and suffered a traumatic brain injury but miraculously recovered. As an adult, she was a victim of domestic abuse, where she faced another life-or-death moment but was able to escape that situation. Another major crisis came when her first child was delivered 15 weeks early. Precious was told that either she or the baby would probably not make it, but after nearly six months in the NICU, both mom and daughter came home from the hospital. Her daughter, Khayomi, is now 8 years old. 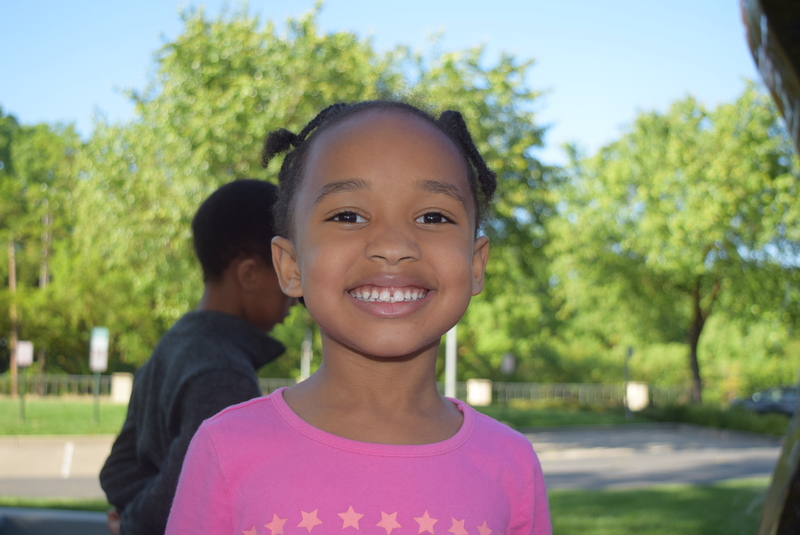 Precious has overcome much and through those experiences she has developed into a strong and independent woman, who is led by love for her family. Precious states that being a single parent has taught her to always keep faith in God. Other than her children and mom, it is in Him where she finds her inner strength. “God puts no more on us than we can bear,” Precious states.